At Cruikshank Plumbing, water heaters are our specialty. Whether you need a quick replacement or if you would like options on different types of water heaters, Cruikshank Plumbing can help. Our staff has the knowledge needed to help determine which water heater you need and we stock the most common water heaters in our shop for fast replacement. When a water heater is not working it is helpful to not only know what the problem is but also what type of water heater you have, the name brand of the water heater and the model number.Locating the model number on a water heater can be a challenge if you do not know what you are looking for. Here are a couple of examples of where to locate your model number. For Additional Troubleshooting assistance, please visit our Water Heater Troubleshooting page. A lot of people are exploring the option of switching to a tankless water heater. 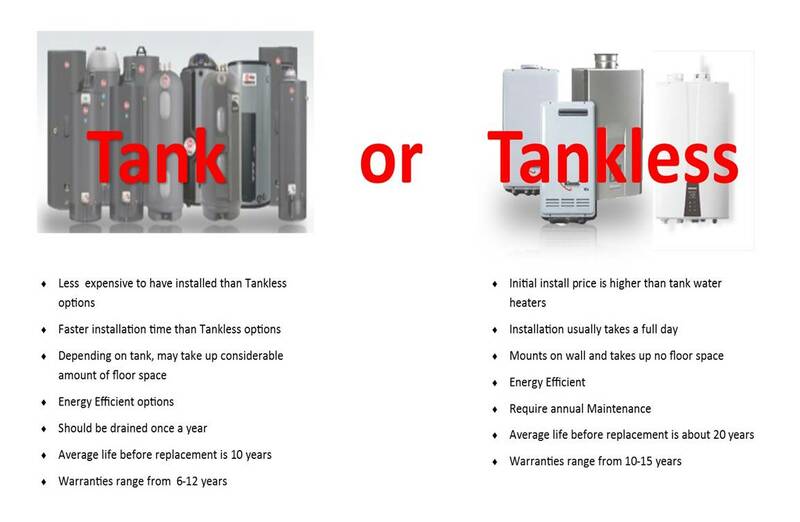 Tankless water heaters save on space, provide instant hot water with no recovery time, and are more energy efficient than tank type water heaters. When installing a tankless water heater there are a lot of things to consider, sizing of the unit, optimal placement of the unit, and proper venting of the unit. At Cruikshank Plumbing, we send out an expert to evaluate your situation and give you a free estimate. Most people don’t even notice their water heater until they have no hot water or their basement floor is wet from a leaking tank. Here, at Cruikshank Plumbing, we are prepared to help you in this situation. Cruikshank Plumbing is here to help with any of these issues.